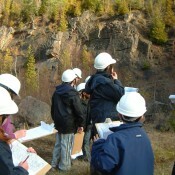 Geoconservation groups are keen to share their enthusiasm and knowledge, helping others to learn and to delight in their Earth Heritage. 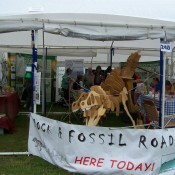 Rock & Fossil Roadshow at the Three Counties Showground, Worcestershire. 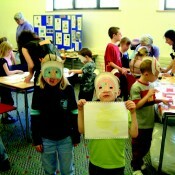 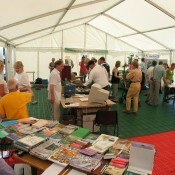 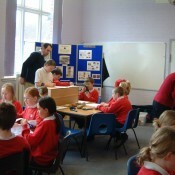 Stretton Food Fayre display in 2005. 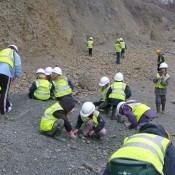 Children on a fossil hunt – Whitman’s Hill Quarry, Worcestershire. 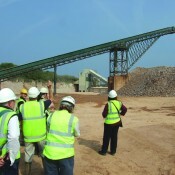 Field trip for visitors from industry. 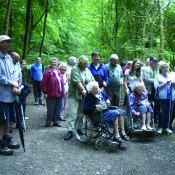 Guided walk for the elderly and visually impaired. 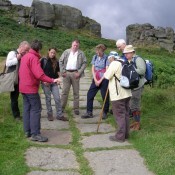 WYGT geological walk at Cow and Calf Rocks, Ilkley. 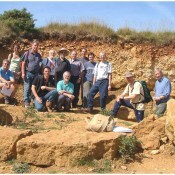 Quarry visit near Clearwell, Gloucestershire. 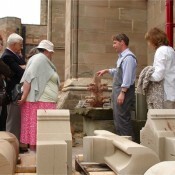 Looking at new and old building stone at Worcester cathedral.